Animal Access at Eaves | Professional Engineering Inspections, Inc.
Poor detailing in siding is common in newer construction and is the most common cause for animal access in new homes. This is true for both fiber cement products and wood siding products although we are seeing a lot fewer wood siding products used in construction today. One of the most common defects in siding and trim installation in new construction is poor fitting of trim at the eaves of homes where the eaves interfaces the roof surface. This detail is typically observed at the lower corners of gables having a eyebrow roof but may also be seen at changes in elevation of the eaves, at dormer roof interfaces to the main roof surface, or any similar configuration. 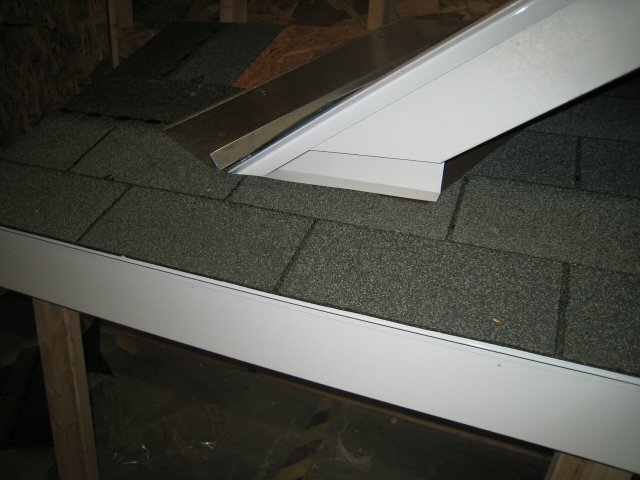 It does not require a very large gap for animals to gain access to the space above the soffit at the eaves, about a quarter inch, and once there they typically have full access to the attic space. The reason for poor fitting of the cornice work appeared to be the builder’s strict adherence to the siding installation clearance requirements for fiber cement siding, which requires 1” to 2” of clearance to the roof surface or any hard surface. 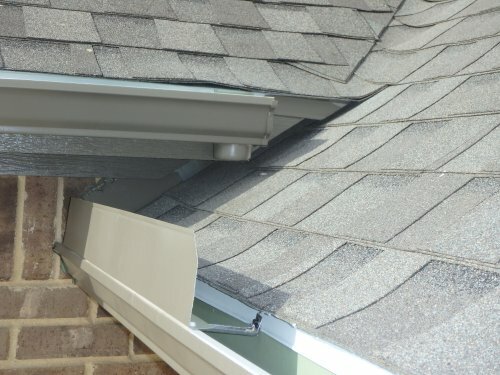 These clearances are generally a good idea since fiber cement siding does not perform well if it is kept wet for extended periods of time pressed against a roof surface, which can occur at a fascia interface to the roof causing it to lose surface finish or in some cases crumble at the point of contact. 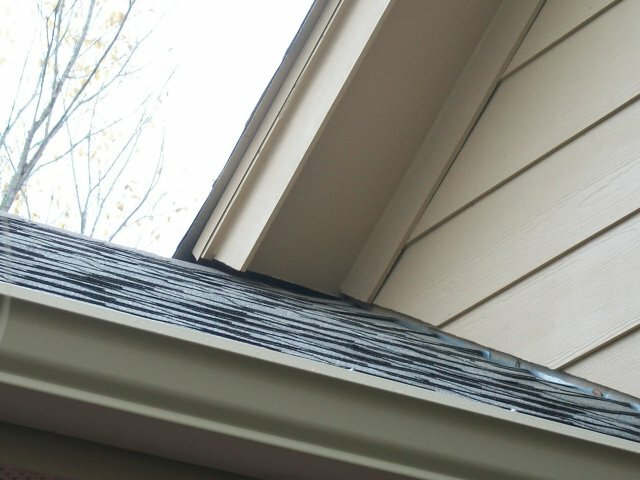 Although I have not found the clearance requirement in the cornice trim materials installation specifications in my last review, siding clearances are enforced by quality assurance inspectors or home inspectors, and as a result are now a recognized standard in the construction industry in our area. 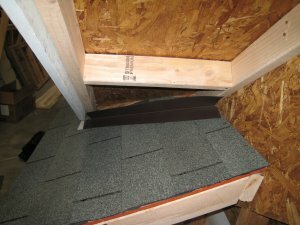 Animal access to attic spaces has become a real problem as builders allow these gaps to exist. I frequently find evidences of animal access in new homes and those constructed in the last few years by major production builders. 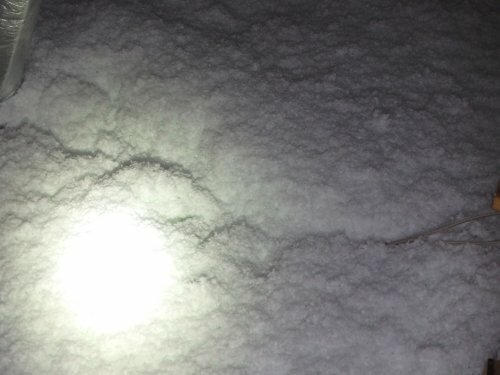 Animal access to the attic is most often indicated by damaged insulation where they travel and nest in the attic insulation compressing it thereby reducing its R-Value, damage wiring, damage to soft plumbing and plumbing insulation, roofing damage, and damage to air handling equipment where they chew on components of the system in the attic. As well as property damage to the building and items stored in it, they can create a potential for the spread of disease. Animal Trail in Fiberglass Insulation. 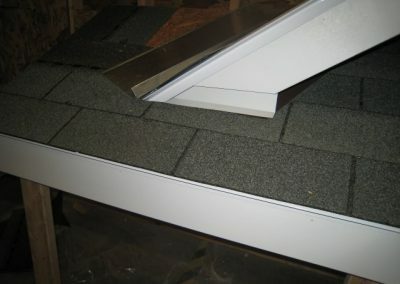 Eliminates the gap often observed at the facia interface to the roof. 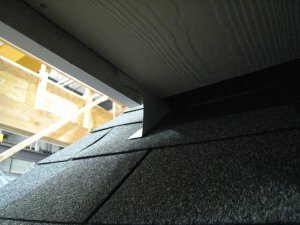 Eliminates gaps between fit of soffit and roof. Photo taken prior to application of fiber-cement soffit covering. Shows application of both fashings after fitting of all cornice work.